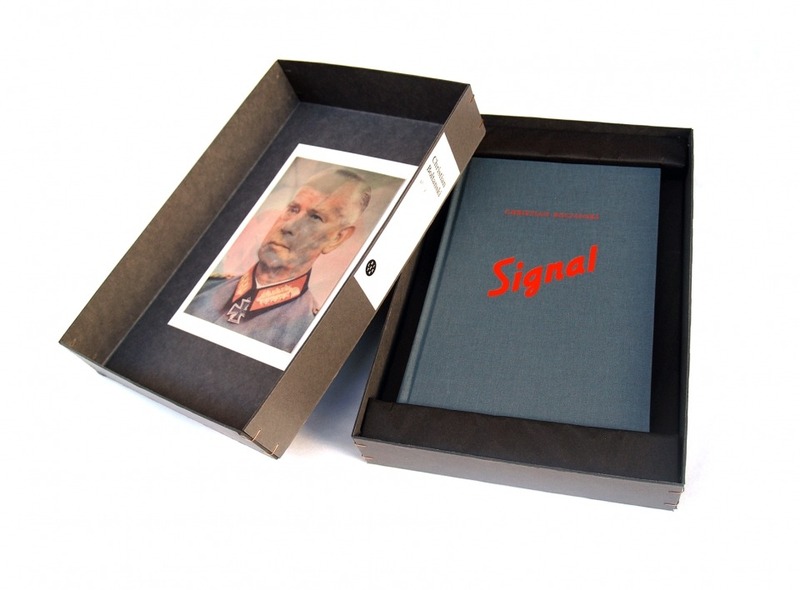 The edition of Signal, made of 170 numbered copies, 20 HC copies numbered HC1 to HC20, and 10 Artist’s Proofs numbered EA1 to EA10, is composed of 10 lenticular images sticked in the book and an additional lenticular image, as well as a poster. 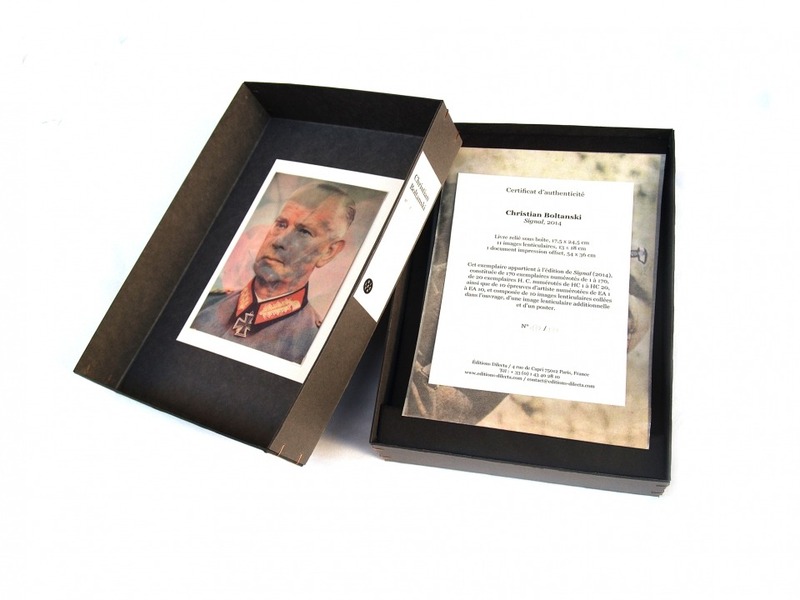 Lenticular printing’s process enables to print 2 superimposed images in order to create, depending on the point of view, the sudden appearence of a new image. In 1980, Christian Boltanski came across copies of Signal (a Nazi propaganda magazine produced by the German army, and distributed in occupied countries between 1940 and 1945, primarily in Europe) at the Vanves flea market in Paris. When he opened them and unfolded the pull-out supplement, he realized that the images he found the most interesting were those that did not match one another. 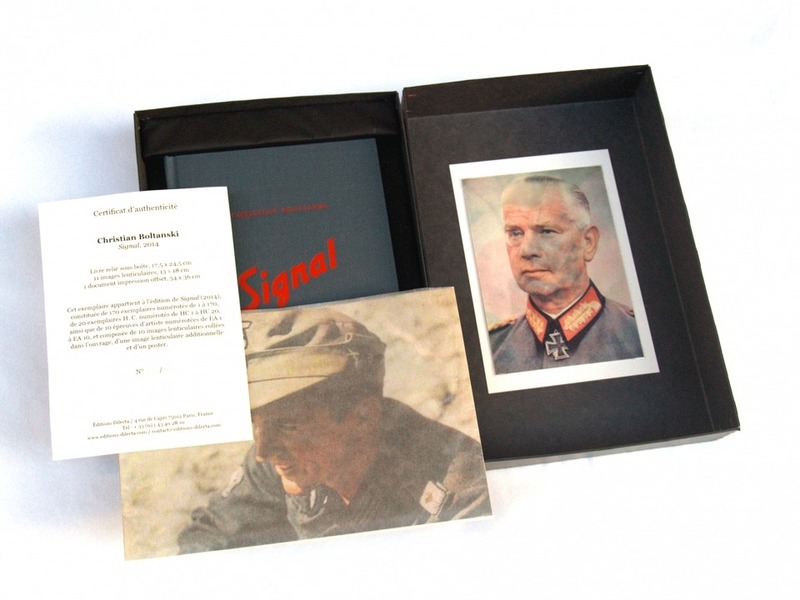 Their collision revealed how propaganda presented radically different realities next to one another, namely images of war and the army on the one hand, and of a normal or even carefree life on the other. 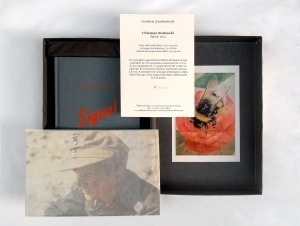 The artist thus decided to emphasize the disturbing juxtapositions created by the magazine’s layout, and to make collages according to chance rather than choice, which can be observed on the lenticular images (image « a » and « b » are side-by-side once the newspaper has been unfolded). The two clashing realities are never arranged by him, but existed as is in the magazine. These works were exhibited at the Durand-Dessert Gallery as well as the École Normale Supérieure, where a conference was dedicated to them.